Will Sprague in his first guest post at HogwartsProfessor in 2011 argued that the first three books of the Hogwarts saga are a reverse alchemical process. 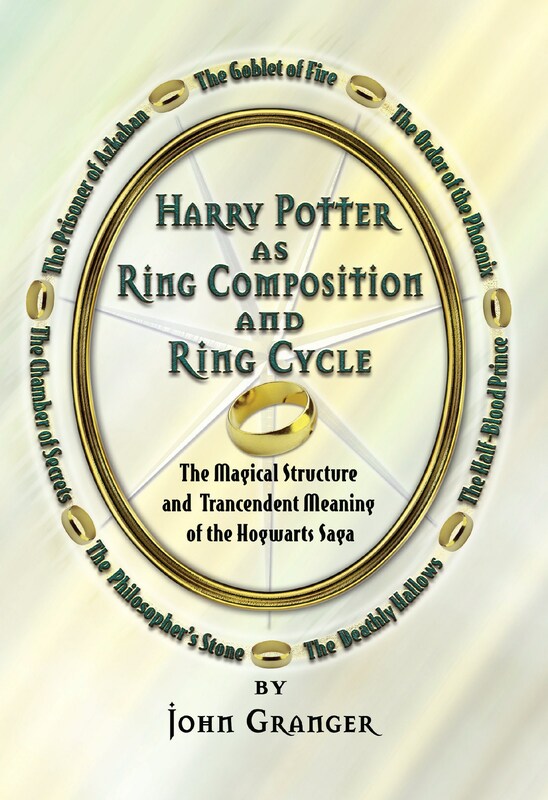 This deft combination of literary alchemy and ring composition as literary analysis was a neat piece of work (it had been done by the Rev Joe Packer, we learned later, in 2007 but no one in the Potter Punditry community was aware of that work). 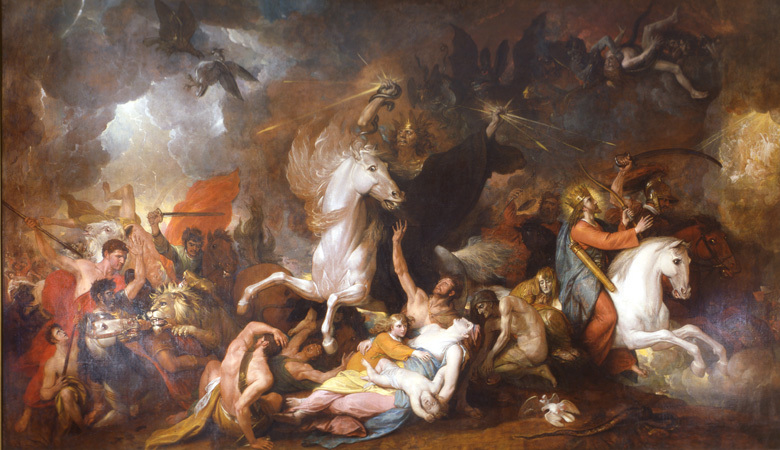 I begged Will to let me publish his notes on the astrological symbolism and structure of the series, which he believes is not alchemical but very much akin to C. S. Lewis’ artistry in The Chronicles of Narnia. 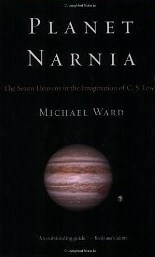 He titles these notes ‘Planet Potter’ in acknowledgment of Michael Ward’s work as CSL exegete in his Planet Narnia. I will be writing later this week, after I finish my Tarot posts, on why I now think this discussion is worth having whereas before I found even the possibility of Rowling writing astrological novels a stretch too far for me. Until then, enjoy these notes from Will Sprague and check out Erin Sweeney’s chapter in Harry Potter for Nerds for her astrological arguments! 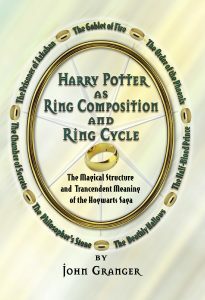 Alongside Ring Composition and Literary Alchemy, it seems hard to believe that a full third layer of literary structure would present itself, but I think that the evidence is strong enough that I can confidently argue that each book of the Harry Potter saga aligns with one of the seven planets of medieval cosmology. I am making the argument more from the preponderance of the evidence than from the ability for these planetary alignments to fit into a preconceived alchemical structure. This is an alternative to the Harry Potter for Nerds chapter entitled “Cracking the Planetary Code: Harry Potter, Alchemy and the Seven Book Series as a Whole.” I think that the use of the planets is more akin to Lewis’ use as laid out in Planet Narnia rather than an alchemical use as argued for in that piece. 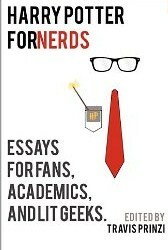 Forgive the rambling and disorganized nature of the below notes for each book. Gryffindor wins the house cup because of the Harry, Ron, Hermione, and Neville’s courage. In fact, Ron even rides a horse and is willing to die for his friends to move on. The decisive victory points, go to a special sort of courage, to stand up to one’s friends and not just one’s enemies. To anyone who’s a fan of the series, this small bit of information actually says quite a bit. 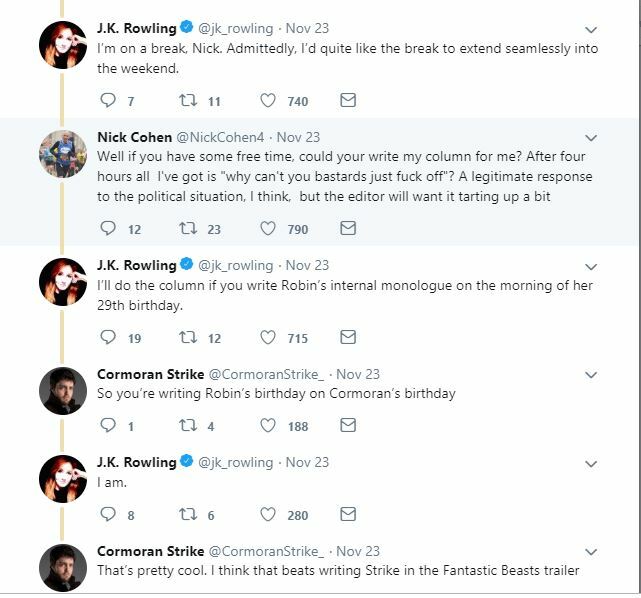 Besides finally confirming that she was currently working on the fifth book of the Strike series, it also revealed the date of the scene to anyone who knew that Robin’s birth date is October 8, 1984. 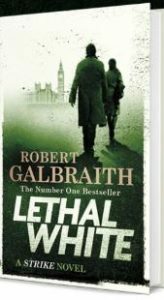 It also revealed to those who knew that the fourth book, Lethal White, ended on September 2012, when Robin was still 27. It would be another year and a month before she turned 29! Unfortunately, she neither confirmed nor denied his comment. Nor did she reveal what chapter in Book 5 she was working on. So the question immediately presented itself—could there be another big time jump at the beginning of the fifth book—just like there was after the prologue in Lethal White, Book 4? I personally do not believe that she will be making another big time jump in Book 5. I have no proof of this but when she wrote the ending of Lethal White she clearly seemed to be laying down a couple of story crumbs leading into the next book. 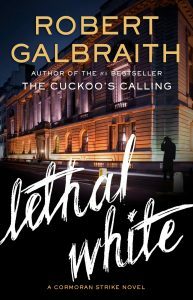 The last line of Lethal White contains a detailed description of “the magnificent mansion” on the Thames with “its front doors engraved with twin swans.” Both the detail and placement of this last image gives the reader an expectation that as a stepping stone into the next book, we should expect it’s story to be told in Strike 5. Another expectation of something coming in the next book is the “Finsbury Park” echo that appears in the same position, in the next to last paragraph, on the book’s last two pages. Both times Finsbury Park is linked to Robin needing to get answers—to see if a man will talk to them. This has been crafted with real intentional emphasis. As a further piece of reinforcement that these end pieces will play a part in the fifth book’s storyline, there is JK Rowling’s recent Twitter heading depicting St. John’s Gate. There is actually a link between St. John’s Gate and Finsbury since St. John’s Gate is in Clerkenwell and Finsbury is a sub-district of Clerkenwell. Interestingly, Finsbury Park is a neighborhood in Harringay, which has its own echo with Career of Evil. Harringay immediately brings to mind the name “Digger” Malley of the Harringay Crime Syndicate, which is mentioned in the third Strike book. In Career of Evil, Strike had originally thought that “Digger” could be a possible suspect for sending them a woman’s severed leg, but he quickly struck him off his suspect list. When the BBC TV (JK Rowling, Exec. Producer) version of Career of Evil did not even mention “Digger” among the suspects. I took this omission as proof that the Harringay Crime Syndicate was not coming back in future books. Surely JKR would have told them to include it in the script if she planned to use it in future books? But then I saw the Finsbury Park echo on the last two pages of Lethal White and wondered if maybe “Digger” would actually make an appearance in Strike 5? “Digger” was, after all, a part of not only Strike’s past—“Digger owed his previous stretch of incarceration to Strike’s evidence” (Career of Evil Ch 12 pg 89) but Shanker also, at one time, actually worked for “Digger”! 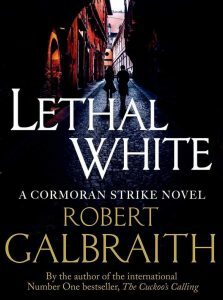 I agree with him that Strike crossing the legal boundaries he had always maintained between acceptable legal and unacceptable illegal tactics for his Agency in Lethal White may have some unforeseen consequences for Strike. Ironically, the very reason he crossed those boundaries—to save his Agency—could turn out to be the very thing that brings it all down. He convinced Robin they needed to engage in clearly illegal acts so he/they wouldn’t lose his/their highest paying client and risk him/them slipping back into abject poverty again. If these repercussions are explored in Book 5 then Strike may experience a new level of fear (different than the fear for Robin’s physical safety he experienced during the events in Career of Evil). This new fear would be even more emotionally tormenting since he knows he is the cause if Robin finds herself in legal jeopardy. 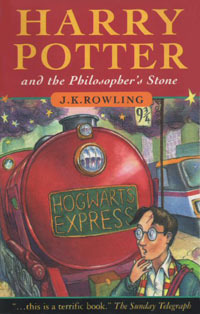 As Prof. Granger also speculated, the UK Phone Hacking scandal could play a big role in Book 5. The year 2013 is when the biggest names in the News and the private eyes they employed to hack the phones for their newsgathering were being swept into the non-stop media coverage of the scandal. It was all reaching its final act of them all appearing before the Judges at Old Bailey. Add to all this the possible trouble Cormoran and Robin could experience from both of their exes, Charlotte and Matthew, and it becomes a real “perfect storm” that could sweep them into the media tide of October 2013. October 28, 2013 – The trial of Rebekah Brooks, Andy Coulson and former News of the World managing editor Stuart Kuttner begins at the Old Bailey in central London. All are accused of conspiring between October 2000 and August 2006 “to intercept communications in the course of their transmission, without lawful authority.” They deny the charges. October 30, 2013 – It is revealed that former News of the World employees Neville Turtleback, James Weatherup and Greg Miskiw have pleaded guilty to phone hacking. October 31, 2013 – Prosecutors reveal that Rebekah Brooks and Andy Coulson had a clandestine affair. However, I have to believe that they can escape actual arrest or, at least, any convictions because such a prospect is just too hard to process. In the real world, the most famous of the arrested private detectives, Glenn Mulcaire, worked for “News of the World” and, although he was given a light sentence, he never afterwards found steady employment. 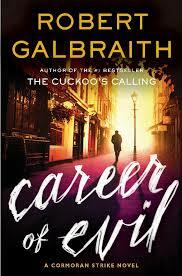 That fate would be one of Cormoran’s worse nightmares. Looking back over these speculations for Strike 5, it appears that no matter how you look at it, the ‘Fasten Your Seat Belt’ sign has been turned on for Book 5. To paraphrase Bette Davis, we all need to prepare for a “very bumpy ride”. Crimes of Grindelwald: Credence Gaunt? 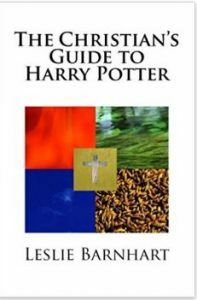 Leslie Barnhart is the author of The Christian’s Guide to Harry Potter and a long time friend of this blog. She sent me her thoughts on last week’s ‘Crimes of Grindelwald: Deleted scenes’ post and that note contained an idea not directly related to ‘Deleted Scenes.’ Credence is not a Dumbledore, she argues, but a Parseltongue speaking Gaunt. I was sufficiently intrigued with that idea, her thoughts about Credence/Aurelius, that I asked her if she would give me her permission to put it up as a stand-alone Guest Post. Permission granted — Enjoy! I’d like to postulate one piece to help make sense of the seemingly sudden revelation about Credence’s heritage at the end of Crimes of Grindelwald. 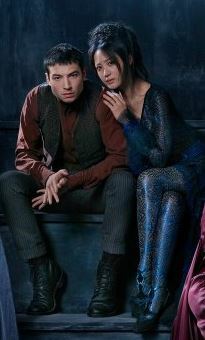 Assume for a minute that, while not a Dumbledore, Credence is indeed from an old pureblood line, one of the oldest. Consider the possibility that he is a Gaunt, possibly a third child of Marvolo Guant. With the father’s known “pure-blood mania,” if Marvolo’s wife thought she had given birth to a squib (even GrindelGraves didn’t sense Credence’s power until later), she may have run away rather than have the child killed. In this scenario, Marvolo’s attempts to find and bring his wife back caused him to lose everything he had and ended up in the shack with very little abilities to take care of himself and his remaining family. The wife died in the ocean, having lost everything she has loved, and gave up her hope and life simultaneously. 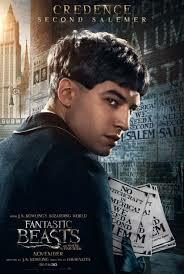 Credence can’t develop the magic he has at the anti-Wizard New Salem Orphanage, but the repressed ability becomes the obscurial as an alter ego he can’t control. The Gaunts, of course, were descendants of Salazar Slytherin and were able to speak with snakes. Years after Credence’s miraculous survival of the sinking ship and his adoptive mother Mary Lou, he arrives in France. 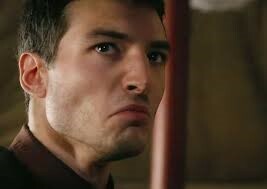 There we see in Crimes of Grindelwald that, as a Parselmouth, Credence is the only one who speaks to Nagini. I watched this the second time and although the circus owner tries to, she looks to Credence to explain what is being asked of her. Secondly, Nagini may have already lost her ability to speak – we only hear her speak to Credence, who may not understand that Parseltongue is a different language. After the displays of power Credence made in New York, a power that he has learned to control in Paris, Grindelwald sees this power as something that could destroy Dumbledore (something he cannot do because of the blood oath). He decides to create the narrative that Credence is related to Dumbledore, a story which if believed by Credence will enable Grindelwald to weaponize him and use that power to his advantage. The only way to turn Credence against Dumbledore and make them fight though is to pretend Albus has stolen the younger man’s birthright and make Credence bitterly resentful. I believe this is the fight that will happen in the third movie, and not the legendary fight between Grindelwald and Dumbledore that happens 18 years later (if the chocolate frog card we read in Philosopher’s Stone is to be believed.). In the Beasts3 duel, Credence will probably be accidentally killed by one of the two greats (an echo of Ariana’s end), and Nagini becomes a snake forever in her despair. In her later life, she finds Tom Riddle, another Gaunt descendant, and aligns herself with anyone against Dumbledore, the man she believes destroyed her only friend. The battle also destroys the blood oath setting up a future scene or trilogy of forces between Dumbledore and Grindelwald, in which Grindelwald loses the magical eye. I’m sure these claims sound outlandish, but with JKR’s known inclination towards misdirection, this would definitely be something she would do. There are many possibilities for what could be revealed by the next installment, and we will have to savor the clues we find in the scripts to pull out as much as we can in anticipation of the revelations yet to come! Kelly Loomis has been carrying the Crimes of Grindelwald ball for the HogwartsProfessor team in the run-up to the film’s release last week so that the rest of us could focus on Lethal White‘s artistry and meaning. It’s been a tough job because, every time Kelly put together a comprehensive post — see her Top Ten ‘Crimes of Grindelwald’ Plot Points Pulled from Trailers, Merchandise, and Fan Sites — Rowling and Warner Brothers would move the goal posts the same or next day with another Big Reveal. I asked Kelly, because of her greater knowledge of and investment in the Fantastic Beasts film franchise, to write our first review of the film. She obliged me with this offering — Enjoy! I received a note from Odd Sverre Hove the day after Lethal White‘s publication and my first post on the subject had gone up. Mr Hove is a correspondent of many years, a theologian living in Norway, and a serious reader of Rowling/Galbraith. He wrote me to say he was as interested in the Ibsen epigraphs from his play Rosmersholm quotations from which Galbraith uses as chapter headings throughout Lethal White. 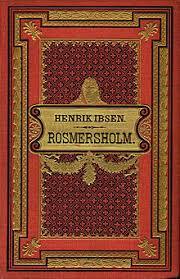 I responded with a beg-letter asking him, my only friend who could read Ibsen in the original language rather than English translation, not to mention with knowledge of Ibsen’s theological and political concerns, to share the ‘White Horse’ references in Rosmersholm and his thoughts as annotations. He did so promptly and I alluded to his notes in my first piece post-publication about the meaning of the white horses — but I only received his permission to share these notes late last week. Please find below the Ibsen ‘White Horse’ notes with Odd Sverre Hove’s commentary at last! (1) If you haven’t read the play and want some context, the Wikipedia summary of what some feel is Ibsen’s best can be found here and the online text that Rowling cites as the translation she used can be downloaded here.